Just got an 07 chevy cobalt ss 2 door. Live in Riverside, ca. I liked this car when it first came out but lost touch with it over the years. So... i dont know jack sh!t about it lol. But ive been searching and reading and learning and im sure ill pick it up in no time. 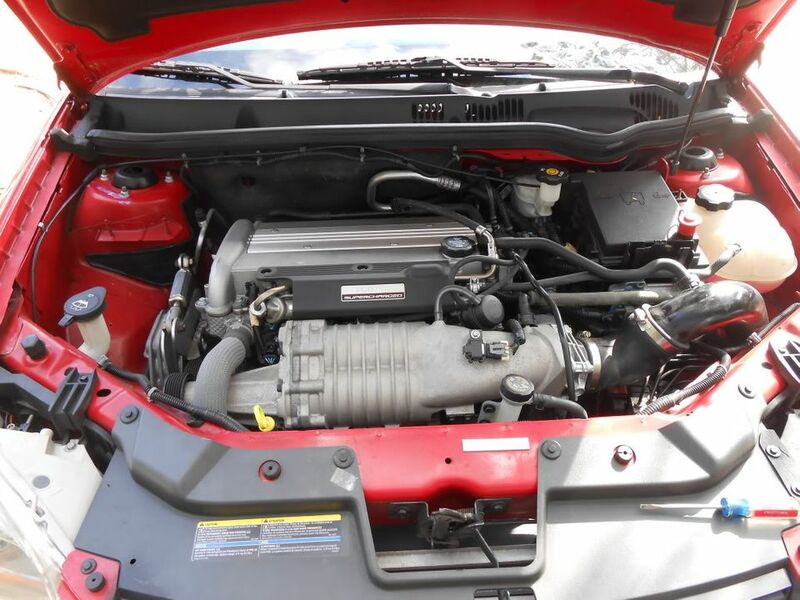 As for mods on my car, i havent gone through it in detail but from what i saw at the dealer it has some aftermarket CAI on it for sure. Its partially debadged previous owner took off the rear bow tie and drivers side emblems. Why he left the passenger side i can only guess cuz on the others he did a **** job. The grill an lower lip are painted black, again not the best job. These are all things i can fix though and for cheap. gunna be a little broke for a couple months lol. i will post pics tonight or tomorrow whenever i am at home for a few. Excited to be part of the group and to meet up sometime. 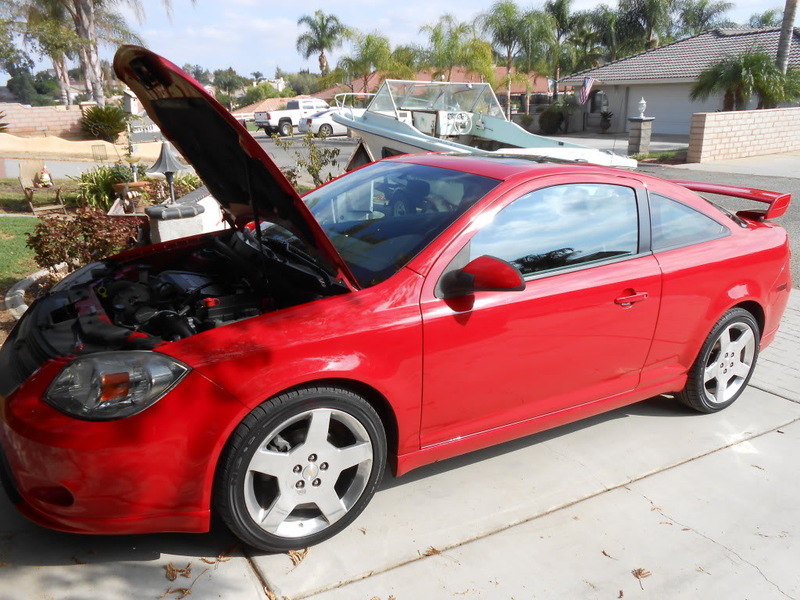 is the cobalt a supercharged 2.0l or the 2.4l N/A one? Its the 2.0 supercharged ss. And its bright red. welcome! post some pics if you got em! yup got 4 bolts there blue. Welcome. I don't think its stage 2at cause it doesn't have the sticker. Mofofernando wrote: Welcome. I don't think its stage 2at cause it doesn't have the sticker. 2at? it has an engraving on it saying its 77.9 mm so thats about 3.0669 inches wich i think is not stock also has 4 bolts instead of the stock one. but there is no other marks to identify the pulley. also in hard pulls im getting almost 15 psi boost. wich i doubt is stock too. i could be wrong though. . I need to pull off the fender skirt to see if the CAI has a name on it there. SAw a few pics of some CAI's and noticed the names of them were in there next to the air filter (exmp. Injen). Im gunna end up replacing it anywho cuz the boot is starting to crack pretty bad around the hose clamps and its installed retarded and hits the bracket to the hood shock. There is a big gauge on the top of the pipe where it has been hitting. Yes it does look like that. lol. mine is just bugging me cuz of the huge gauge in it and the fact it doesnt looked pushed on all the way. The pulley either is gm or some other generic one cuz there is no name on it at all. the fact that the CAI isnt on very good makes me think its all just generic stuff aka ebay. gunna need to fix that asap. and by asap i mean eventually. hahaha this icon looks like a ***. Oh i found out that i have the G85 package with the LSD. But no recaros cuz its a 2007. Ill take it. Ya i was curious so i went to recaros website to look at what might of come on the cobalt. and dam that shiz is expensive. The sports with the luxury package (heated and cooled lol i love my seat warmers turn em on high roll down the windows and im perfect) are like 1700 a piece dayum!! u can get all the interior re upolstered for the price of one seat lol. i like the leather ones just not the leather they used. Only thing I really miss about the balt is the seat warmers. The hhr ss performance seats hold nicely.